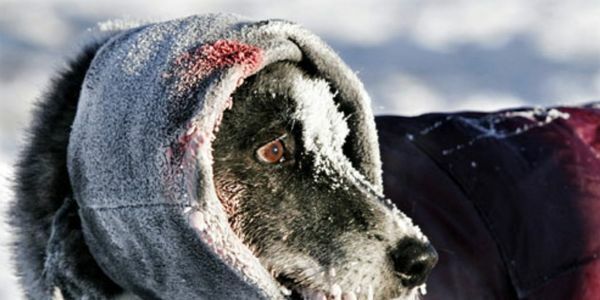 petition: Cruel Iditarod race should stop! Cruel Iditarod race should stop! Iditarod race(Cruelty to sled dogs)should stop~! The Iditarod Trail Sled Dog Race: 21st century Sled Dog Slavery. We should end this falsely glamorized cruelty to sled dogs NOW~! The Iditarod Trail Sled Dog Race is a grueling expedition from Anchorage to Nome, Alaska, which takes place every March. It is like racing your dog from Orlando to New York, depriving him of sleep to complete the course as quickly possible, mushing through waist-deep water and ice, with the dog losing about 10 pounds through the ordeal. About 1,500 dogs start the Iditarod, but more than one-third are flown out every year because they become sick, injured, or exhausted from being forced to run for hours through jagged mountain ranges, frozen rivers, dense forests, and desolate tundra in biting winds, blinding snowstorms, and temperature fluctuations from 40 degrees above to 60 degrees below zero. The dogs - usually husky mixes weighing only 40 to 45 pounds - are usually tethered to 400 pound sleds in teams of 15. They must run about 125 miles per day, often racing as many as six hours at a time, with just a few hours' sleep each day. This harsh race can take nine to 14 days. The dogs' feet become bruised and bloodied, cut by ice, and just plain worn out from the tremendous stretch of ground that they cover. Many pull muscles, incur stress fractures, or become sick with intestinal viruses or bleeding stomach ulcers. In his capacity as a volunteer veterinarian for the race, Scott Moore "saw dogs with torn Achilles tendons, dehydration, diarrhea, hypothermia, hyperthermia, inflammation in the wrists, and soreness in shoulders from the harnesses." Orlando Sentinel columnist George Diaz wrote that the Iditarod is nothing more than a barbaric ritual that gives Alaskan cowboys a license to kill. Most dogs live in cramped kennels that are usually not inspected by any regulatory agency. Kennel operators often keep dogs tethered on short ropes or chains or confined to tiny spaces. Nearly 30 malnourished dogs were seized from David Straub, who has run the Iditarod three times. Straub was charged with 17 counts of cruelty to animals, and the dogs were confiscated. At the largest tourist dogsledding operation in the U.S., Krabloonik Kennel in Aspen, Colorado, as many as 35 dogs have been killed annually by a gunshot to the head, according to a former employee. Krabloonik's office manager defended the killings, saying, "Culling dates back hundreds of years. This is nothing new. This is part of the circle of life for the dog-sled dog." Like any other tourist attraction, the motive of the Iditarod and similar races is money. USA Today sportswriter Jon Saraceno, who dubbed the race the "Ihurtadog," reported, "The economic impact to Anchorage, site of the ceremonial start, is estimated at more than $5 million. &hellip; The dogs, of course, get their usual take. More suffering." Saraceno has also written that the race is "shameful marketing carried out on the backs of defenseless animals."